Matt Ritter recently traded big law for the big stage. He graduated from the University Pennsylvania Law School and worked as a corporate lawyer at one of the top firm's in the country before leaving the law to pursue a career in entertainment. Matt was recently the host Wondery's podcast "Safe For Work" and currently hosts the hit podcast "Legally Insane" that has a live monthly show at the Hollywood Improv. 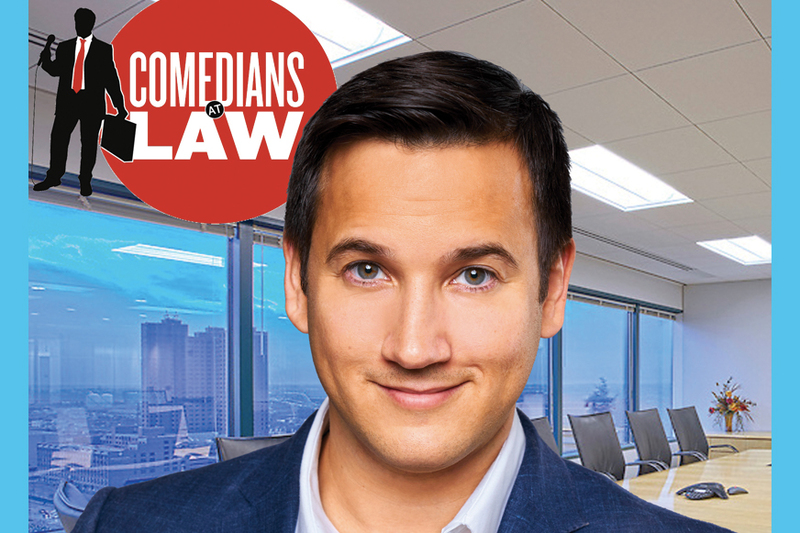 Matt has carved out an interesting niche in the corporate entertainment space: founding a troupe of lawyers turned comedians, aptly named the "Comedians at Law" and headlining across the country, at clubs, colleges, and many corporate gigs. Additionally, Matt has been a guest commentator on various programs (CBS News, Fox News “On the Record”, NBC, MTV.com, and ComedyTime TV), has guest hosted (Sirius XM “Raw Dog” Comedy) and is a writer for various publications (Above the Law, Bitter Lawyer, Readers Digest, and US Weekly). Behind the camera, Matt is a writer and TV producer on various shows including A&E’s “Duck Dynasty” and Discovery's “Fat N’ Furious." He is also the co-creator of the television series “Chained to My Ex” which premiered on MSNBC recently to rave reviews, and he has sold scripted projects to Comedy Central and E! and is an on-camera host of multiple shows on Afterbuzz TV. Because of their passion for comedy and their desperate desire not to practice law, the Comedians at Law joined together to travel the country, deliver their diverse and intelligent brand of humor, and entertain audiences at law schools, bar associations, law firms, comedy clubs and anyone else willing to cut a check that can be used to pay down their student loans. The reaction has been overwhelming. Comedians at Law are in demand, and members of Comedians at Law have appeared on Fox News “On the Record,” CBS, Sirius/XM’s “Raw Dog” Comedy (as guests and as guest-hosts of their morning program), and in The Wall Street Journal and CNN.com. Comedians at Law: Good at Law. Better at Comedy.